Business travel is now global; families are spread all over the world. The planet is just getting smaller. As we move about our Earth, though, we want our technology with us at all times – at least our phones, tablets, and laptops/notebooks. We need to protect them; we need to bring those things along that are required for work and business; we also want our entertainment to be there all the time. So we must ensure that all of our tech gadget devices will work anywhere anyplace we may be. Here are seven gear/gadget essentials for protection, work, and entertainment. This is a cross between a briefcase and a back pack, and it is specially designed for your devices. If you choose the one made by Tumi, you will get a special slot for your laptop that means you don’t have to pull it out to go through security; there are also all kinds of specialized pockets and slots for chargers, extra batteries, and other devices, and even a removable pouch that can hold cords and chargers. This is an all-in-one gadget carrier. By all means, if you travel often, especially for business, you will want one of the best laptops on the market. An extra battery would be a good idea when traveling with a laptop. Beyond that, you will want to think about mice. There are now smaller mice that will work on any surface, and that can be a huge convenience. Obviously, extra batteries for that mouse would be a great idea – you never know when they will fail, and you may not be in a place where you can get replacements easily. Think about finding a cab in a strange foreign city and explaining to the driver that you need a store that sells batteries. Just bring your own. Nothing can be worse than being in a country and not have the right adapter piece to plug in your phone charger. Even if you purchase the international adapter set, you will find that in some countries, none of these is compatible. A mobile charging pack can be a lifesaver. And if you have multiple phones, you will want to be certain that both use the same charger type – you don’t have to worry about packing to cords. You may be in the habit of using your phone for games and music. Instead of running down the charge on your phone, which is far more important, you can buy a small gaming device that is portable. Barring that, bring along a separate phone or tablet on which you have downloaded your favorites. Play Station games are now downloadable on devices, for example. And consider an MP3 player for your music. It is far less inconvenient to run those batteries down than those of your phone. If you have an e-reader, load it up with books ahead of time – no problems with Internet connections in your hotel room if your reading material is already loaded. These devices can improve your mood and even may generate happiness while you are experiencing layovers, delays, or killing time in your hotel room. This can be an issue in many countries and in hotels, where free Internet access is unsecure and can be spotty. If your phone has a tethering plan, then you simply bring your Internet with you. Remember, however, that this will use up data, and drain your battery. Another option is to purchase MiFi which will give you a wireless hotspot. Most phone carriers have these plans, and you can usually purchase them by the year or as pre-paid month-to-month. Here’s the problem: If you want to juice up more than one device at a time while in a foreign hotel, and you only have one adapter, then you are going to have to charge them one at a time. If you are in a domestic hotel that is old, you may have very few outlets at all. Get a small sleek one that will allow you to charge 2-3 devices at a time. No one wants to be caught off guard when that bag gets weighed, and they face extra charges. Get a reasonably-priced portable scale and know in advance, so you are not blind-sided. Book lights are really tiny these days and will easily clamp onto a regular book or an e-reader. Anyone who is a night-time reader and traveling with a companion will definitely need one of these. Regular travelers are usually pretty organized, especially when it comes to knowing what and how to pack. 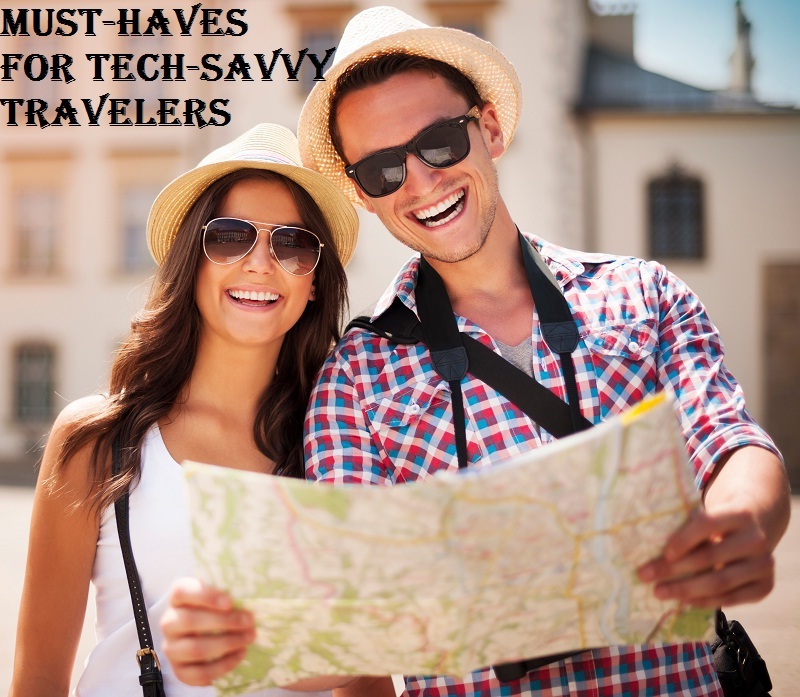 The other common factor is that they are always on the lookout for new gadgets that may make so much travel more efficient, especially when their technology must travel with them. These eight suggestions hold promise to do just that.